Exciting news today from a very snowy Fife. You are invited to my book launch on 27th March 2018! See the poster above for all the details. I’d be delighted if you can make it along to Falkland on the 27th March. 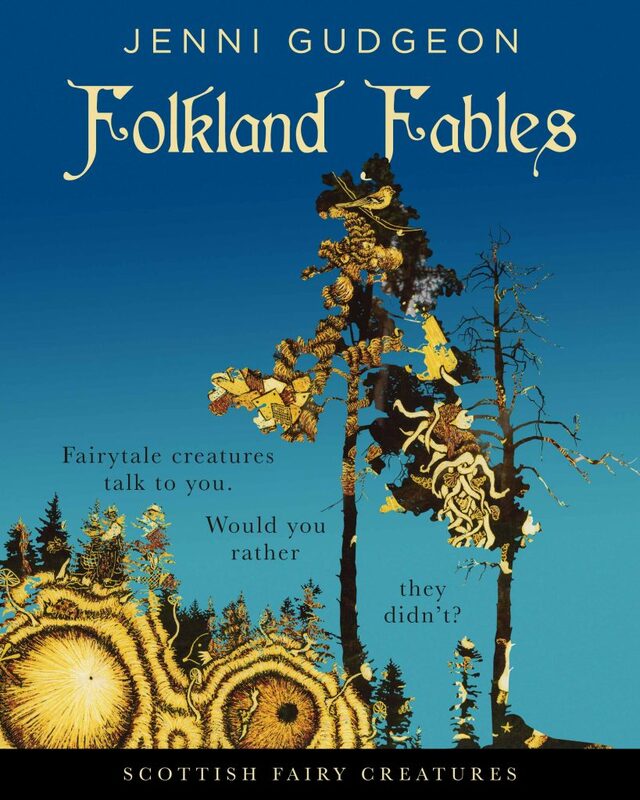 If you can’t manage, then Folkland Fables will be available on Amazon from the 27th. This book has been such a long time in the making, I can’t quite believe it’s actually heading out into the world. Five years ago, at the Open Studios North Fife weekend, I was continually told the silly stories I made up about my etched fairytale creatures would make a great book. I told everyone it wouldn’t happen because I couldn’t write for toffee. Three days later, I woke up with the first line in my head and realised “Oh my God, I’m writing a book!!! During the last five years, I’ve had to learn some basic writing skills and I’ve got much better at drawing. I always knew I’d need to learn how to write, but the extra drawing lessons came after I procrastinated for an entire summer about etching my giants. I finally realised I wouldn’t do the project justice unless I improved my drawing. It feels like I’ve come a long way. 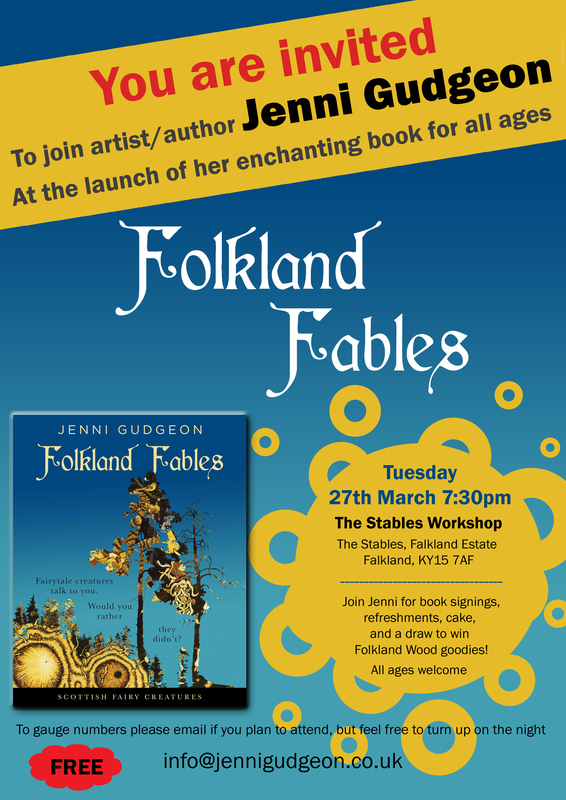 I’m also looking for six people (adults or children) to review a preview copy of Folkland Fables before the launch date. If you’re interested, please email me back.